M.R. Shah And Ms. Sonia Gokani, Jj. M.R. Shah, J. – As common question of law and facts arise in both these appeals, they are disposed of by this common judgment. 2. 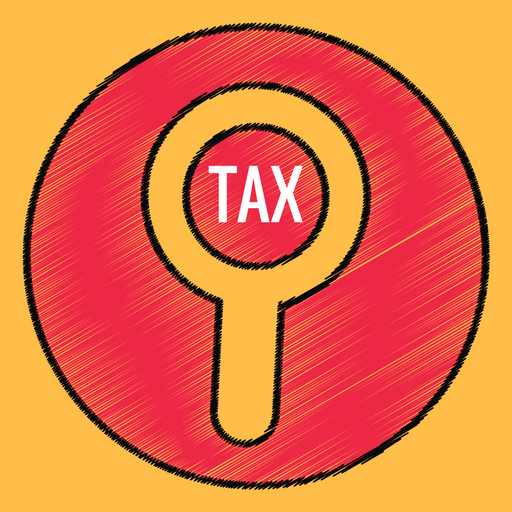 Both these Tax Appeals have been preferred by the Revenue challenging the common order passed by the Income Tax Appellate Tribunal (hereinafter referred to as the “ITAT”) dated 7.12.2012 passed in ITA No.1428/AHD/2010 and ITA No.1429/AHD/2010, by which, ITAT has dismissed the aforesaid two appeals preferred by the Revenue confirming the order passed by the CIT (A) quashing and setting aside the orders passed by the Assessing Officer of the levying the penalty under Sections 271D and 271E of the Income-tax Act. 3. That during scrutiny assessment under Section 143(3) of the Act and during the course of assessment, Assessing Officer noticed that the Assessee had accepted the cheques (other than account payee cheque) for certain individuals wherein the sum involved in each case was in excess of Rs.20,000/- which was found to be in breach of provision of Section 269 SS of the Act, the proceedings were initiated for imposing / levy of penalty under Section 271D of the Act. 3.1 Simultaneously, the penalty proceedings were also initiated under Section 271E of the Act for breach of Section 269T of the Act. That after giving an opportunity to the Assessee, Additional CIT found that Assessee Act in contravention of Section 269SS and 269T of the Act with respect to amount of Rs. 2,20,72,084/-, imposed penalty under Section 271D and 271E of the Act. 3.2 Feeling aggrieved and dissatisfied with the orders passed by the additional CIT imposing the penalty under Sections 271D and 271E of the Act, the Assessee preferred appeals before the CIT(A) and CIT(A) by different orders dated 22.1.2010 allowed the aforesaid appeals and quashed and set aside the orders passed by the Additional CIT imposing penalty under Section 271D and 271E of the Act. 3.3 Feeling aggrieved and dissatisfied with the order passed by the CIT(A) quashing and setting aside the orders passed by the Additional CIT imposing penalty under Sections 271D and 271E of the Act, the Revenue preferred Appeals before the ITAT being ITA No.1428/AHD/2010 and ITA No. 1429/AHD/2010 and by common impugned judgment and order, the ITAT has dismissed the said appeals confirming the orders passed by the CIT(A). 3.4 Feeling aggrieved and dissatisfied with the impugned common judgment and order passed by the ITAT, the Revenue has preferred the present appeals. Provided further that the provisions of this section shall not apply to any loan or deposit where the person from whom the loan or deposit is taken or accepted and the person by whom the loan or deposit is taken or accepted are both having agricultural income and neither of them has any income chargeable to tax under this Act”. 5. It was the case on behalf of the assessee being a “Shroff” has two lines of business-cheque discounting business and money lending business, which are separate and distinct and separate ledgers were maintained in respect of the two lines of business. It was the case on behalf of the assessee with respect to cheque discount line of business the assessee received the aggregate amount of Rs.2,20,72,084/- through crossed cheques from the farmers of Charotar region-Gujarat which were selling their produce to traders. It was the case on behalf of the Assessee that tobacco growing farmers of Charotar region of Gujarat used to sell their produce to traders, who make the payment traditionally by way of post dated crossed cheques and thus such traders avail cash flow by retaining the use of the money for longer period. The agriculturist in turn take the cheque to the “shroff for discounting it for cash, since they normally did not maintain any bank accounts and they insist on immediate cash payment. Considering the above explanation, it was found by the CIT as well as ITAT that assessee had not taken any loan or deposit from the agriculturist by such transaction and therefore, neither Section 269SS nor Section 269T are attracted and therefore, there is no question of any breach of Section 269 SS and/or 269T of the Act as alleged. Consequently there was no question of levying any penalty under Section 271D and Section 271E of the Act and consequently the ITAT has rightly confirmed the order passed by the CIT(A) in quashing and setting aside the orders of penalty imposed under Section 271D and Section 271E of the Act. 6. Shri Parikh, learned counsel of the Revenue is not in a position to satisfy the Court how by the aforesaid transaction of cheque discounting it can be said that there was any loan or deposit taken by the Assessee. We have our own doubt whether cheque discounting business can be said to be loan or deposit at all. In any case, when it is not proved and/or established that by cheque discounting business the assessee had taken any loan or deposit from the agriculturist and/or they have repaid any loan to the agriculturist, neither Section 269SS nor Section 269T of the Act are attracted. Under the circumstances, no error and/or illegality has been committed by the ITAT in confirming the orders passed by the CIT quashing and setting aside orders of penalty passed under Section 271D and Section 271E of the Act. 7. Question of law much less substantial question of law arise in the present appeal. Under the circumstances and for the reasons stated above, both the appeals fail, they deserves to be dismissed and are accordingly dismissed. This entry was posted in Section 269SS, Section 269T, Section 271D, Section 271E and tagged 359 ITR, cash loan, Gujarat High Court, In favour of Assessee, transaction of cheque discounting.